Cocaine, Hookers and a Politician....so what's new. When a video tape showing former UK trucking magnate, Harry Fox, now Cabarita Beach Mayor, snorting cocaine surrounded by flirtatious prostitutes at a raunchy party, is leaked to the media; the morals of the man 'for the people' are questioned. In this latest international mystery and crime, Jack has a myriad of suspects - a video producing opportunist, a dodgy drug dealer and a jealous aide - all with motives, that makes this crime fiction new release even more enticing. 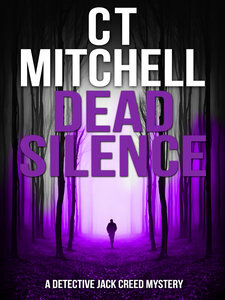 Dead Silence is part of the Detective Jack Creed Mystery,Thriller Suspense Series that's received tons of FIVE-STAR reviews in both the UK & US with more than 50,000 readers and counting. If you’re looking for a great story with mystery, murder and action, try The Thin Line today. A page turning mystery, thriller, suspense about lost identity, betrayal, and murder, Dead Silence will keep you on the edge of your seat. This stand-alone novel features rogue hero Detective Jack Creed. Look for other detective books in the series including Dead Shot, Dead Ringer, Dead Wrong, Dead Boss, Dead Stakes and Dead Lucky. They can be read in any order, however they are best experienced in sequence. Australian author C T Mitchell’s best mystery books weave a tale full of mystery and action with Australian humour and suspense. His unique stories and no-nonsense style of writing will take you on a page-turning roller coaster ride of emotions right up until the end.